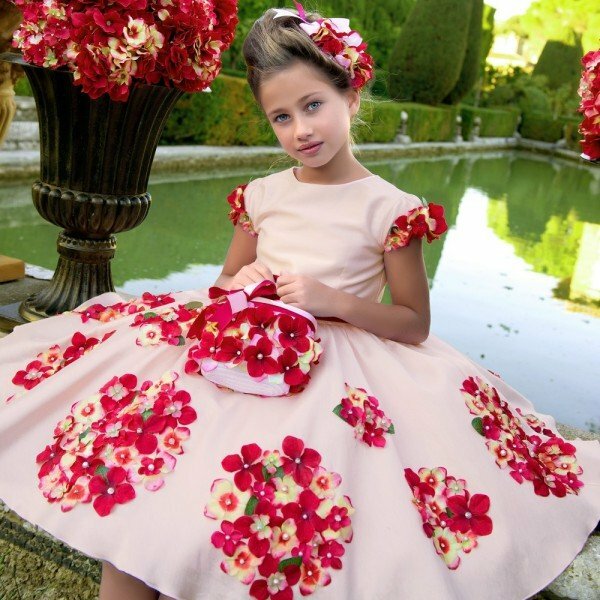 This gorgeous Red floral dress by Lesy Luxury is the perfect look for any special occasion. 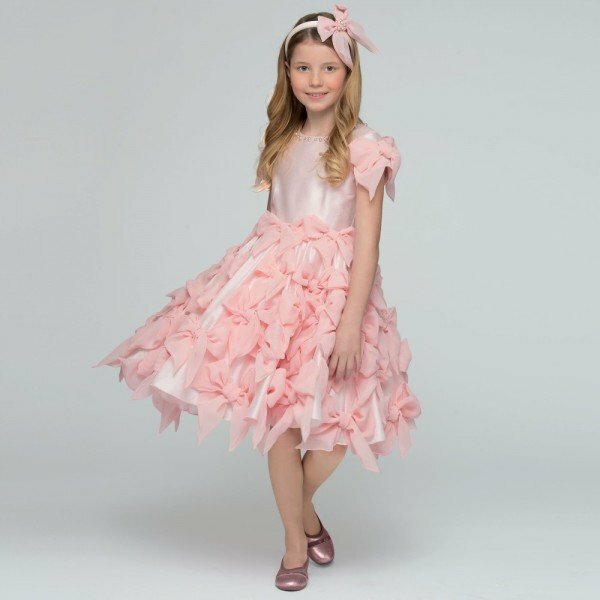 Designed in a beautiful bloom print on a silky satin fabric, this ankle length dress has a fitted sleeveless body with a gathered waist and a full and flowing skirt. 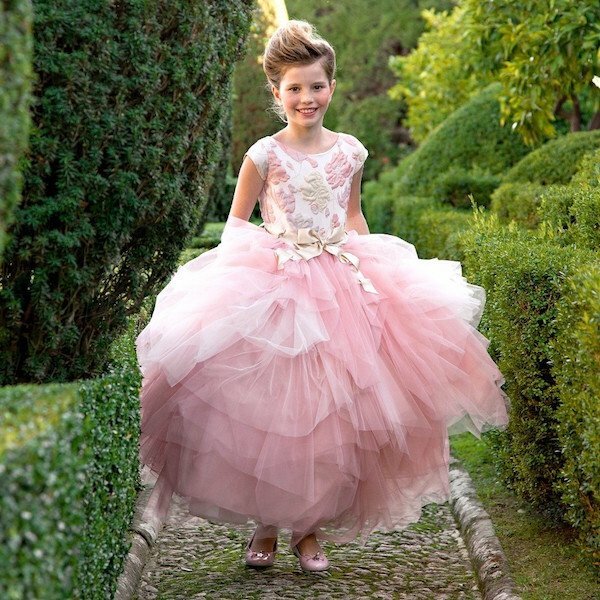 The dress had special features including a green grosgrain ribbon belt, with a floral brooch posy attached. 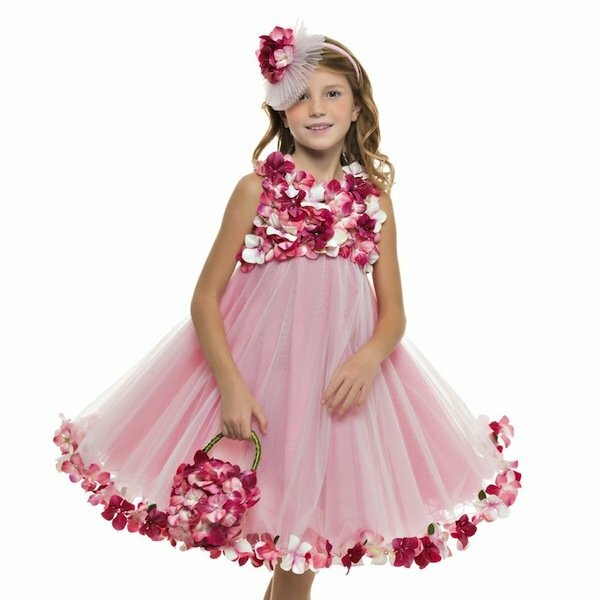 Perfect for twirling in on the dance floor, this pretty dress has silky satin underskirts and a still tulle petticoat which adds fullness.